Let’s face facts: A tree is probably the largest monetary investment that you’ll make in a plant. 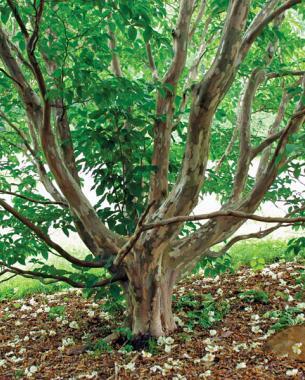 Unlike annuals and perennials, a tree is a long-term investment that matures over time. In other words, trees are the savings bonds of the plant world. Maybe that’s why, when shopping for a tree at the nursery, people look panic-stricken. I’ve met hundreds of gardeners that are practically paralyzed by the fear of selecting the “wrong” tree—afraid of selecting one that looks good for only two weeks out of the whole year or, worse yet, one that will die after only a few years. When choosing a tree, it’s important to make sure it is a four-season performer. 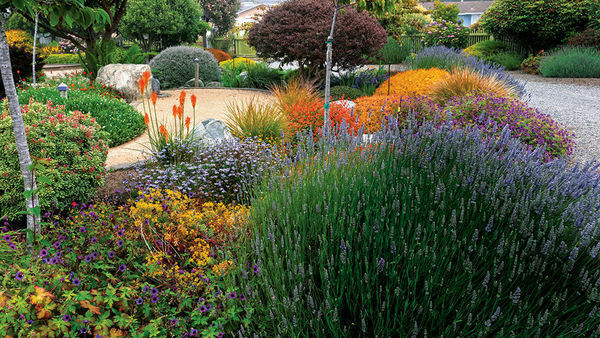 It shouldn’t just have nice spring blooms and exceptional fall color. It should also have winter interest and some other noteworthy traits that will draw the eye during the times when it’s not at its peak. And a tree should be largely pest- and disease-free and not require tons of pruning. Because trees are long-lived, you don’t want to invest in anything that will require 50 years of high maintenance. 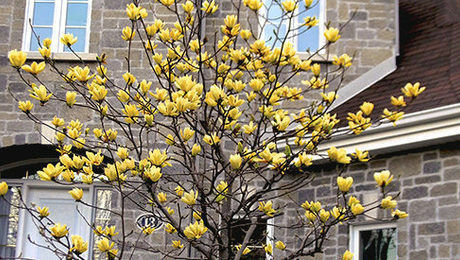 Here are several trees that you will never regret planting. Whatever you choose, it will be one of the best investments you’ll ever make. Sourwood is a tree that is criminally underused in landscapes. Its new leaves are a light, lustrous green turning to a deep green as they mature. 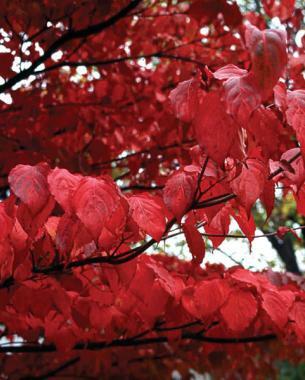 In early fall, the leaves turn yellow, orange, and scarlet red. During the summer, its long, drooping, fragrant flowers appear and persist for three to four weeks. This is at a time when few trees are in bloom, making the sourwood stand out even more. After flowering has stopped, the pendulous seed capsules turn yellow, giving the illusion that the tree is still in flower; they then turn a light brown and remain on the tree for most of the winter, and are beautiful when dusted with light snow. Sourwood has a slightly pyramidal habit. 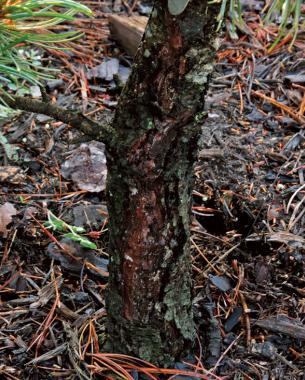 The young stems can vary from olive green to burgundy red, and the grayish bark starts smooth but gets deep furrows as it matures. 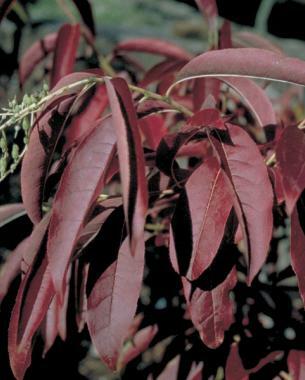 Sourwood should be grown in full sun to produce the best flowers and fall color. It prefers acidic soil that is well drained but moist. This tree fits perfectly into the “weird-but-cool” category. 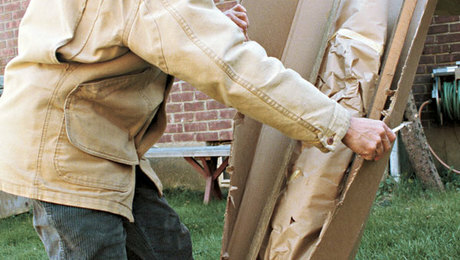 Its bark is the trait you’ll notice first, rough and peeling off in register tape–like strips. Seven-son flower is classified as a large shrub or a small tree because it can be single or multistemmed. 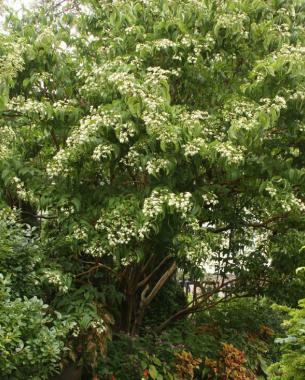 The tiered branches of this fast-growing plant are covered with white blossoms for almost two months, starting in late summer. The flowers fade to reveal fuchsia calyxes, which also look like blooms and persist well into autumn. This tree has some drought and salt tolerance. 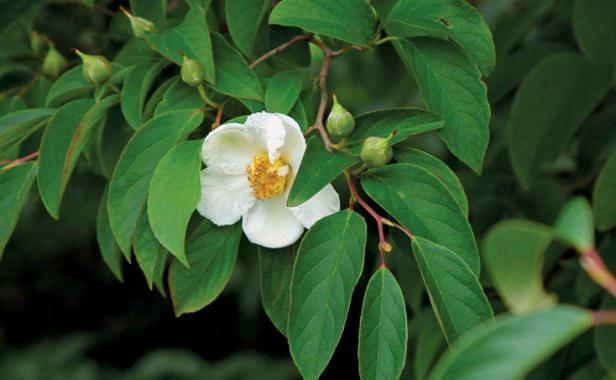 Japanese stewartia is known for its camellia-like flowers in late spring and early summer. The white blooms have a bright orange center and open sporadically over a two- to three-week period. 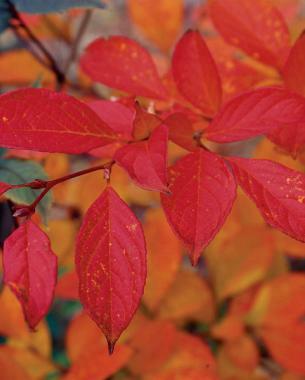 It has a spectacular fall display—sporting yellow, red, and mahogany-colored leaves all on the same plant. The new leaves emerge a bronze-purple in early spring, turning dark green throughout the growing season; even the new twig growth is a reddish color. After the flowers are gone, a decorative seedpod remains. 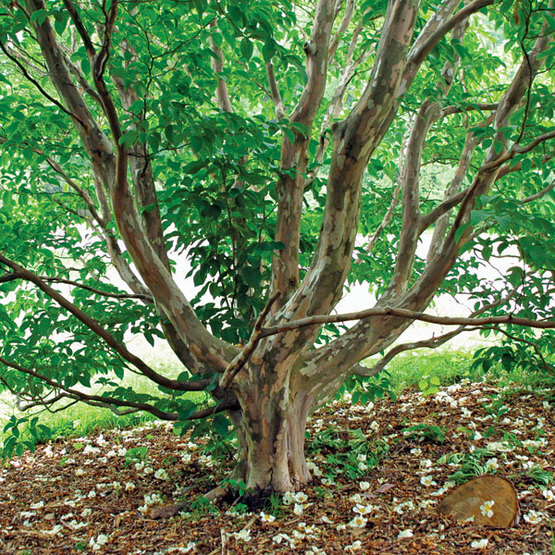 As a final note of interest, Japanese stewartia has reddish tan and gray-brown exfoliating bark that exposes a creamy white layer underneath. This tree has a dense, upright, pyramidal habit at first, then forms an open, rounded crown as it matures. 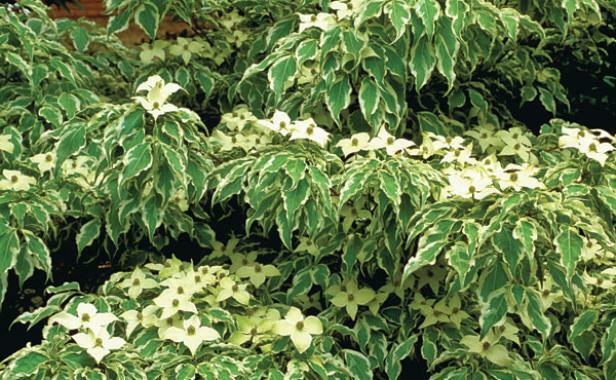 It likes full sun to partial shade and prefers moist, well-drained soil. Japanese stewartia is also relatively slow growing until established. One look at this small tree and you’ll understand why it got its name. Its showy white flowers cover the tree in late spring; with their bright green centers, they almost appear to be staring back at you. Some trees will bloom for several weeks, extending into late summer. 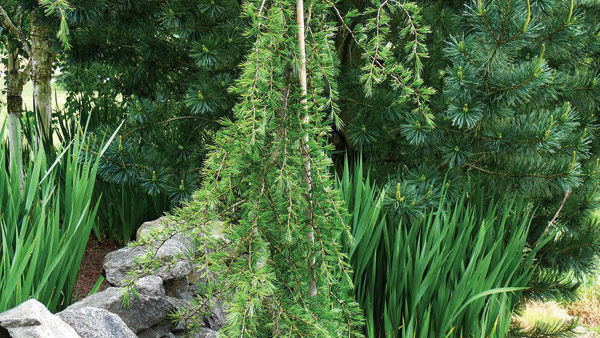 ‘Wolf Eyes’ is upright and vase-shaped as a young tree—some say it is rather stiff looking. But with age, it develops into a broad, spreading tree with a horizontal branching habit. 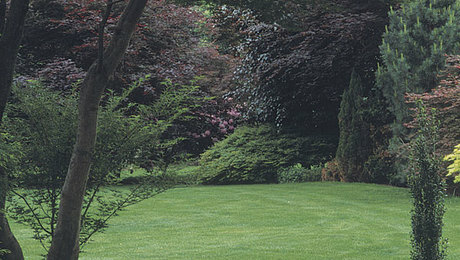 These trees are happiest in partial to full shade and moist, well-drained soil. After several years, ‘Wolf Eyes’ kousa dogwood develops a beautiful, well-defined, exfoliating bark of grays, tans, and rich brown tones. 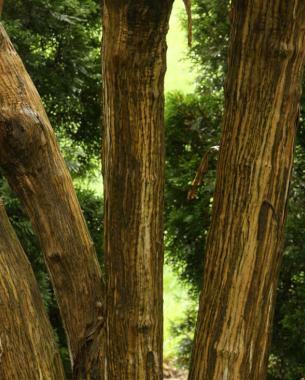 The bark patterns are more evident when the trunk is wet. Its fall leaf colors range from orange to mahogany. 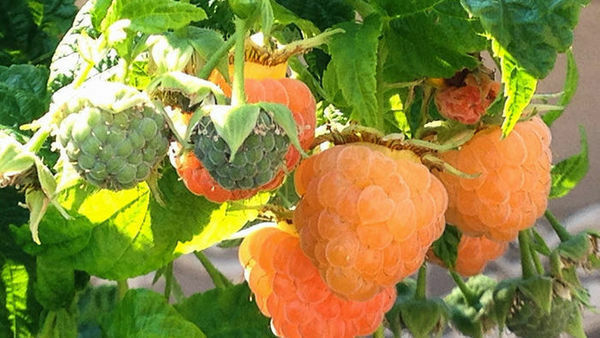 Large raspberry-shaped fruit appear in late summer and are a great food source for birds but are also edible to humans. No one sets out to subject their tree to a slow and painful death. But many of the so-called “helpful” things we do to make our trees thrive are actually responsible for their downfall. 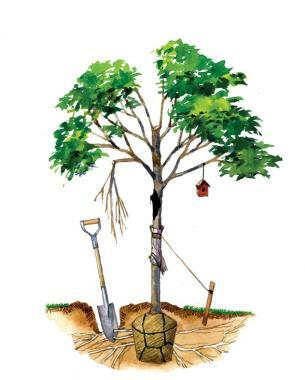 Be sure to avoid the following mistakes if you want your tree to live a long and healthy life. Are those leaves or parrot feathers? 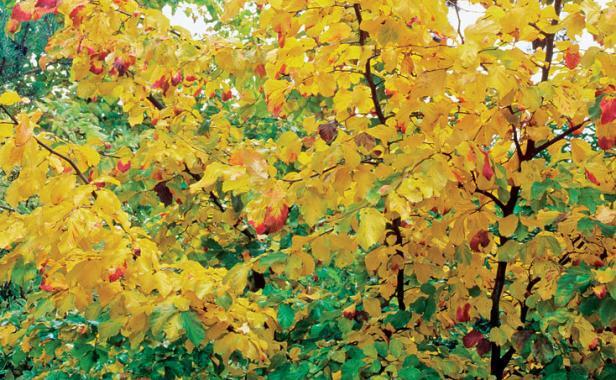 Persian ironwood is a deciduous tree with a distinctive spreading habit, similar to witch hazel (Hamamelis spp. and cvs., Zones 5–9). Most of these trees have a single, relatively short trunk that forks near the ground, and a rounded crown composed of wide, arching—or even drooping—branches. Persian ironwood’s best trait is its brilliant autumn foliage, which can include yellows, reds, and oranges; it reminds me of a parrot’s feathers. The exfoliating bark peels and flakes, creating a mottled patchwork of green, beige, white, and gray blotches. Unlike other trees that rely on just their bark for winter interest, this tree flowers in late winter, producing a plethora of small spiderlike, ruby red flowers. Persian ironwood is a slow-growing tree that is virtually free of pests and diseases and tolerates acidic to alkaline soils. 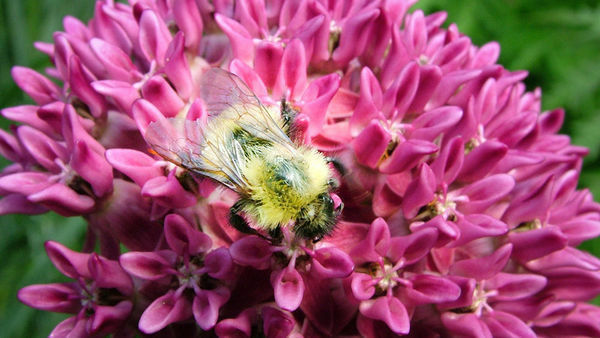 It is also tolerant of drought, wind, urban air pollution, and soil compaction. The best fall color is produced on plants growing in acidic soil in full sun. This tree is a living garden sculpture. It will thrive under just about any garden condition (full sun to full shade, moist to dry soil); will tolerate some degree of salt exposure; and can be pruned to fit into tight, restricted spaces without losing its character. 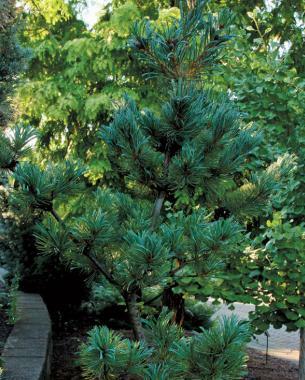 With its blue-green needles; attractive cones; and twisted, branching structure, ‘Glauca’ Japanese white pine is a perfect focal point. 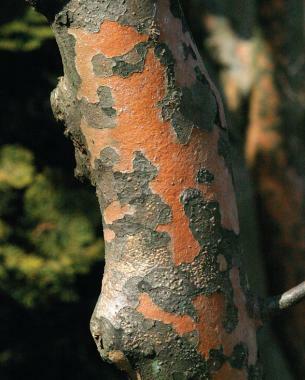 A trait that is often overlooked is its bark, which is purple-brown and deeply grooved. So the Japanese Pine you suggest is "good for every garden" but only hardy to zone 6? How does that work? 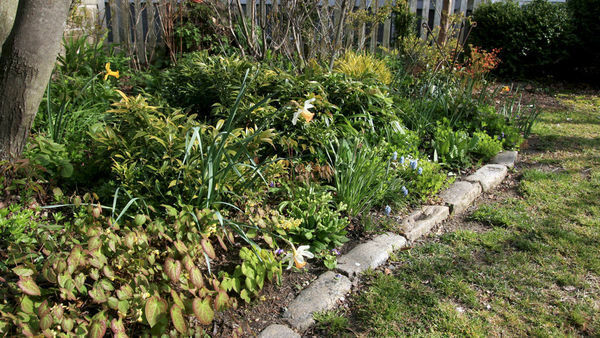 I'd like to see some choices for zone 4 gardens!